It's happening for 28 days! (SPOT.ph) February was a month full of exciting book sales, but it seems like March is also going to be a great month for book lovers. 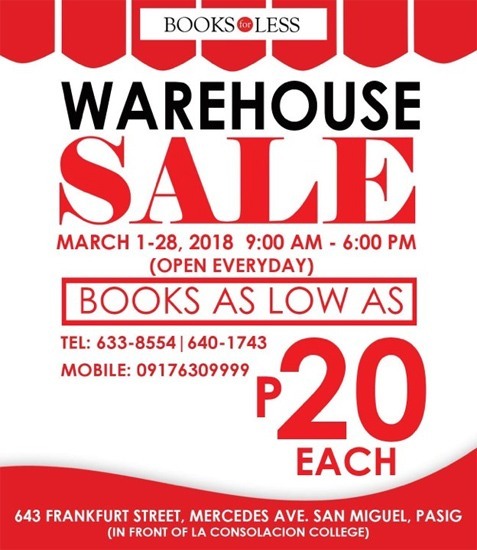 Books for Less is having a Warehouse Sale from March 1 to 28, from 9 a.m. to 6 p.m., at 643 Frankfurt Street, Mercedes Avenue, San Miguel, Pasig City (in front of La Consolacion College). 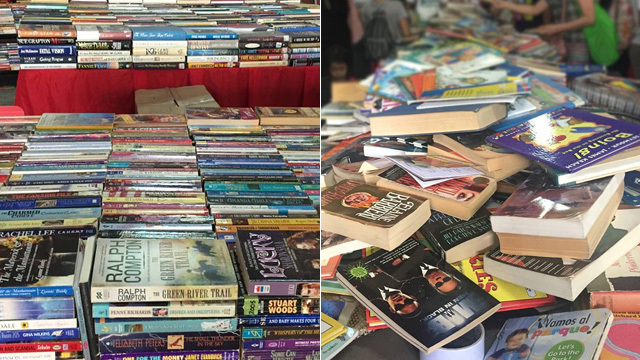 Bookworms, ready your wallets and your shopping bags because with books for as low as P20, we're sure you'll be doing some serious book shopping!